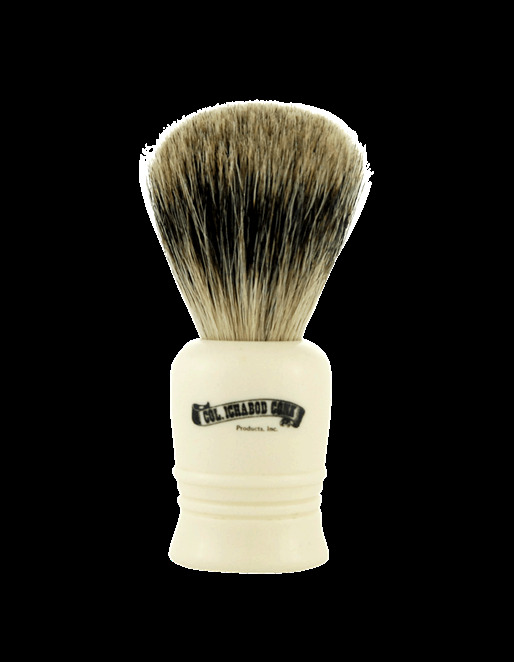 Best Badger Shave Brush with cream handle. Brush is 4 1/8" high with a 21 mm knot size. Best Badger Hair is the finer & more pliable hairs from the badger's coat. The head of the brush is shaped not trimmed. Made in England.